Shop for medications and joint supplements to treat arthritis in animals at VetDepot.com. Osteoarthritis, otherwise known as degenerative joint disease, is one of the most common health problems affecting middle aged to older dogs, cats, horses, and other companion animals. Arthritis can develop in response to injuries like ligament ruptures, secondary to developmental disorders like hip dysplasia, or simply as a result of the wear and tear that accumulates in joints over a long life. Modern treatment recommendations promote a multi-modal approach1 to dealing with arthritis in pets, meaning that most individuals benefit when the disease is addressed in several different ways at the same time. Depending on each patient's situation, therapy might involve weight loss, surgery, non-steroidal anti-inflammatories or NSAIDs (e.g., carprofen, phenylbutazone, or meloxicam); other pain relieving medications like tramadol, gabapentin, or amantidine; physical therapy; acupuncture; stem cell therapy; massage; and cold laser treatments. One additional treatment modality that is almost always part of treating osteoarthritis in pets is the use of joint supplements. Joints are made up of the ends of two or more bones that are covered with cartilage and surrounded by a synovial membrane that makes the fluid that bathes the joint. Osteoarthritis is characterized by joint inflammation, progressive deterioration of cartilage, a decline in the protective nature of joint fluid, and eventually the development of bony growths around the joint. What pets experience is pain, stiffness, a reluctance to be active, and muscle wasting and weakness around the affected joints. The potential downside of using supplements as part of the treatment protocol for arthritis is very small. In fact, the Federal Drug Administration does not classify these products as drugs but as nutraceuticals – a food or food ingredient considered to provide medical or health benefits, including the prevention and treatment of disease. When given at very high doses, some pets experience vomiting and/or diarrhea that resolves when they are taken off the supplement, the dosage is reduced, or the product is given with food. "Joint supplements are so safe that many veterinarians recommend starting them in at-risk patients before arthritis symptoms develop." Joint supplements are so safe that many veterinarians recommend starting them in at risk patients before symptoms of osteoarthritis develop and continuing to use them for the life of the animal or until they no longer appear effective. Joint supplements seem to work best in cases of mild to moderate osteoarthritis, so treatment should begin sooner rather than later in the course of the disease. Next to NSAIDs, nutraceuticals are the fastest growing group of health care products in both human and animal health.1 The best way to choose between all the different types of joint supplements that are available is to start with a product that has the support of scientific research. There is a lot of individual variation with regards to patient response to different types of joint supplements, however. Therefore, if an animal has been on one brand for at least four weeks with little response, it is certainly worth trying several more before concluding that joint supplements as a class are ineffective in that particular patient. Because nutraceuticals are not as heavily regulated as are medications, a lot of variation in the quality and effectiveness of products exists. Look closely at ingredient lists, both for what active ingredients are present and also for the amount of each that is included. Reliable manufacturers should be able to provide scientific research supporting the effectiveness of their particular products and quality assurance guarantees. 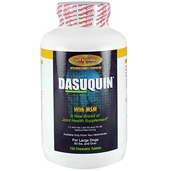 The National Animal Supplement Council (NASC) was developed help people identify quality supplements and nutraceuticals. Companies that are members of the NASC allow inspectors into their facilities to ensure that they are in compliance with the organization's standards and provide quality-control procedures, adverse event reporting, label guidelines, and warning/caution statements. As a result, these manufacturers can use the NASC logo on their labels. Any joint supplements you buy for your pets should carry the NASC logo and/or be made by a company with an impeccable reputation that is highly recommended by veterinarians. 1. Multimodal Management of Canine Osteoarthritis. Steven M. Fox, MS, DVM, MBA, PhD Independent Consultant. Western Veterinary Conference. 201. 2. 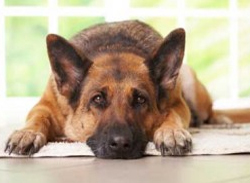 Osteoarthritis; Management Strategies for the Arthritic Pet. William D. Fortney, DVM, Kansas State University. Atlantic Coast Veterinary Conference. 2006. 3. Systematic review of clinical trials of treatments for osteoarthritis in dogs. Aragon CL, Hofmeister EH, Budsberg SC. J Am Vet Med Assoc. 2007 Feb 15;230(4):514-21. 4. Protective effects of total fraction of avocado/soybean unsaponifiables on the structural changes in experimental dog osteoarthritis: inhibition of nitric oxide synthase and matrix metalloproteinase-13. Boileau C, Martel-Pelletier J, Caron J, Msika P, Guillou GB, Baudouin C, Pelletier JP. Arthritis Res Ther. 2009;11(2):R41. Epub 2009 Mar 16. 5. Multicenter veterinary practice assessment of the effects of omega-3 fatty acids on osteoarthritis in dogs. Roush JK, Dodd CE, Fritsch DA, Allen TA, Jewell DE, Schoenherr WD, Richardson DC, Leventhal PS, Hahn KA. J Am Vet Med Assoc. 2010 Jan 1;236(1):59-66. The above is provided for information purposes only and should not be used for the diagnosis or treatment of any condition. This information does not cover all possible variables, conditions, reactions, or risks relating to any topic, medication, or product and should not be considered complete. Certain product or medications may have risks and you should always consult your local veterinarian concerning the treatment of your pet. Any trademarks are the property of their respective owners.